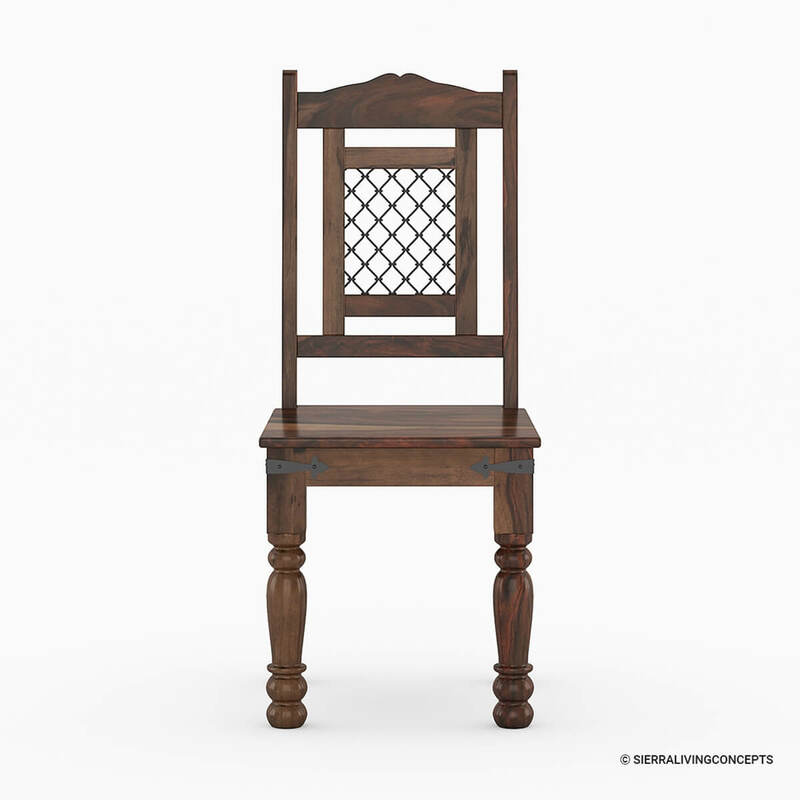 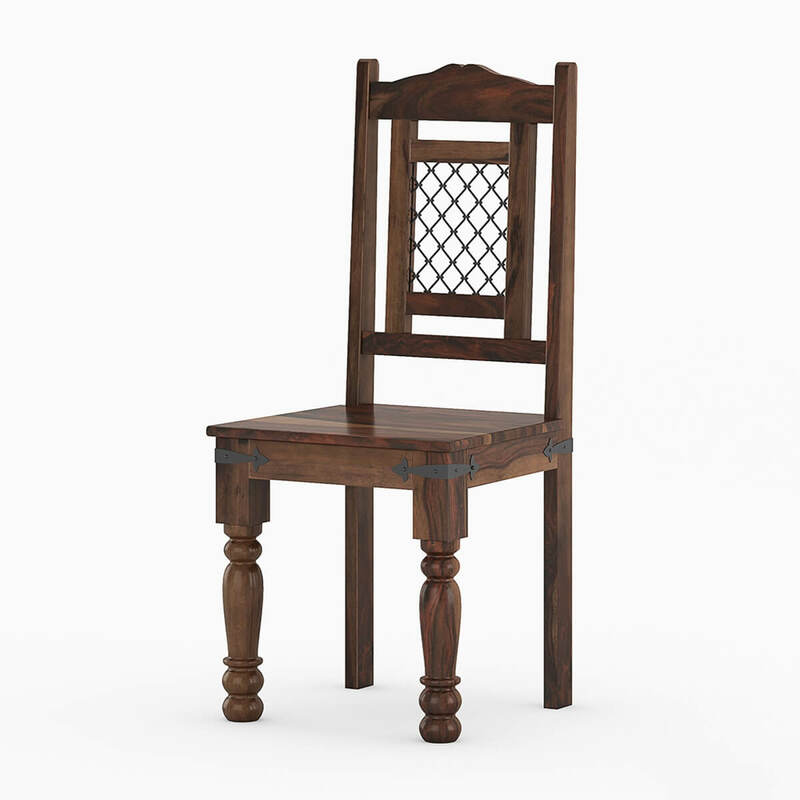 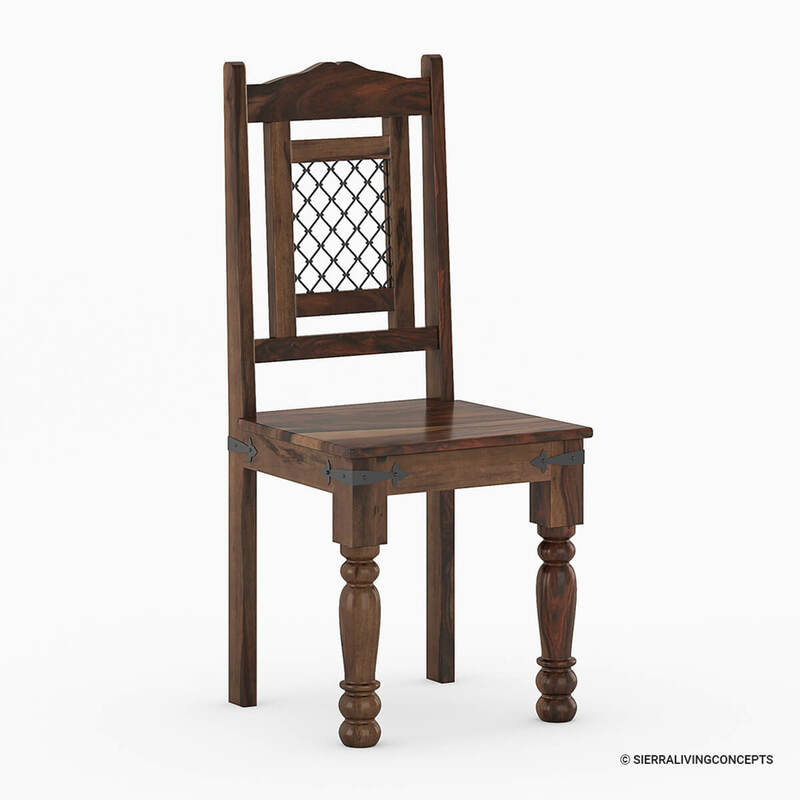 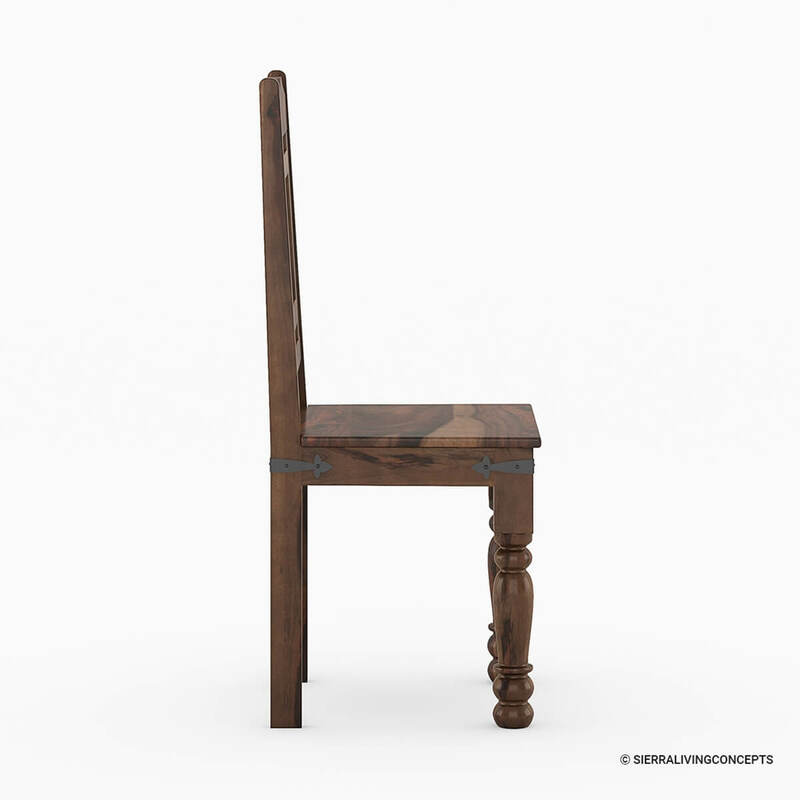 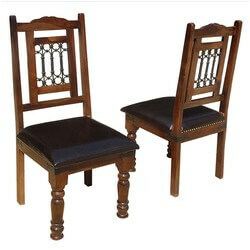 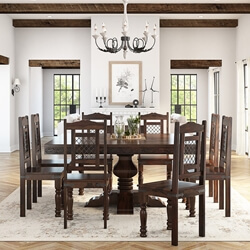 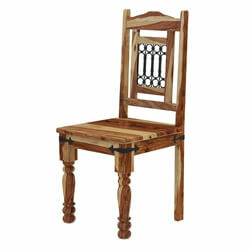 Brand New Solid Wood Dining Side Chair with beautiful Cross lattice Ironwork at backrest.The Iron latticework of Indian furniture has been carefully selected and handmade by skilled craftsman from India with skills acquired over generations. 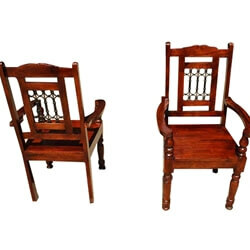 The styles of Thacket and Grill Furniture have been influenced by the times of the Maharajah and is made of quality wood (Solid Wood). 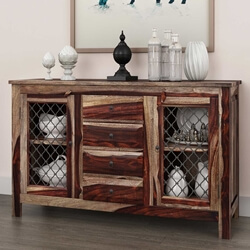 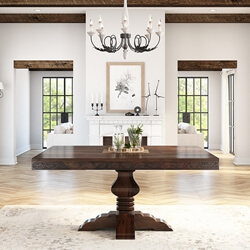 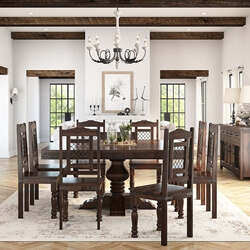 This gives all pieces of furniture a look of quality and beauty, the wood itself has the most beautiful grain and by being stained and waxed this truly makes the furniture look stunning. 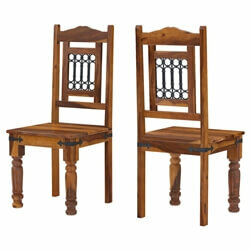 The Jali style gives a truly warm look to any home with its traditional clean lines to create a stylish look.